When funny, charming, absolutely-normal Audrey Cuttler dumps her boyfriend Evan, he writes a song about her that becomes a number-one hit?and rockets Audrey to stardom! Suddenly, tabloid paparazzi are on her tail and Audrey can barely hang with her friends at concerts or the movies without getting mobbed?let alone score a date with James, her adorable coworker at the Scooper Dooper. Her life will never be the same?at least, not until Audrey confronts Evan live on MTV and lets the world know exactly who she is! 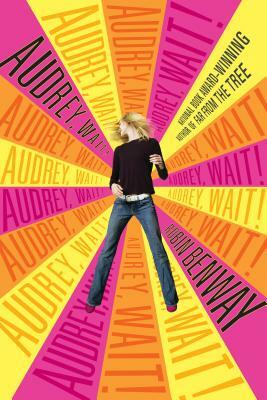 Robin Benway is the acclaimed author of the National Book Award winner Far From the Tree; Emmy & Oliver; the Also Known As series; Audrey, Wait! ; and The Extraordinary Secrets of April, May & June. Benway's books have been published in sixteen languages, have won international awards, and have been bestsellers in several countries. Formerly a bookseller and book publicist, she lives in Los Angeles.